Consulting is a such a broad concept. These days there are advisors in everything from interior design to holistic healing. Even when we define ourselves in the category of business advisory, there is still an element of mystery to outsiders. 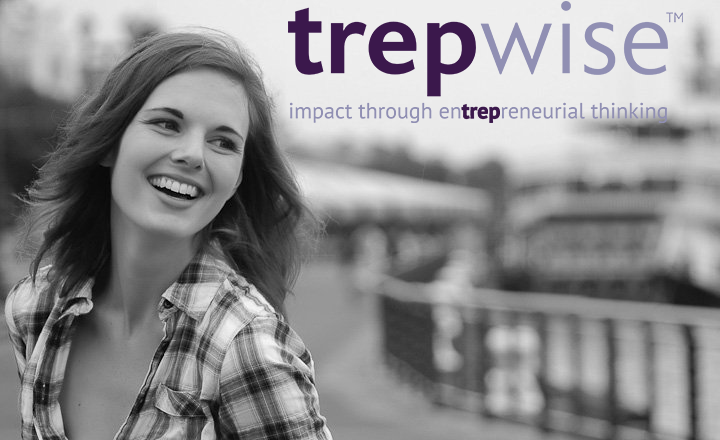 So we are pulling back the curtain and giving you a peek into a day in the life of a trepwise advisor. 5:55am – After three rounds of snooze, it’s time to wake up. Check email for any pressing morning matters and reply to event planning client about the timing of today’s meeting to vet app developers. Pray that said client has the sound notifications on their phone turned off! Brush teeth, stretch, and go for a jog. 7:30am – Finish workout, and review meeting notes from yesterday’s executive coaching session. Take a moment to appreciate how vulnerable, open, and trusting our clients are in their journey for personal and professional growth. Take a mental screenshot of Kevin’s lessons of leadership during the session for my own professional development. 9:05am – Host a customer interview for a beverage distribution client who is working on a marketing overhaul. Dig into customer’s insights on the customer journey, skills of the client sales staff, areas of opportunity for relationship building, etc. Often customers are the best source of input into growth…it’s a good great idea to run things by them first! 10:00am – Business development call with university incubator to identify potential opportunities for curriculum and program development for their student ventures. They have a small budget, but the representative offers to connect us to a number of other opportunities in entrepreneurship on campus. Make a mental note to follow up with him tomorrow morning, also hoping he has his phone on silent at 6am. 10:30 – Build a client survey for market research on family business executive education; review survey with team member to ensure all questions and logic are correct. Thank goodness for a tool that can unravel the epic knowledge of survey logic that lives in my head! 12:00pm – Lunch meeting with the internal metrics working group to decipher big numerical wins for Q1 and 2. Define next steps around building a growth dashboard to inform marketing and business development activities. Get hyped to present our ideas to the greater team in our next staff meeting…Nothing great-a than data! 1:00pm – Send strategic planning workplan to non-profit client who runs infrastructure and programming for an outdoor park. Schedule time to walk through the workplan and set meeting agendas and necessary attendees for the process. Fight the urge to offer to facilitate the entire strategic planning process for her – love working with the client that much, but have to stick to the budget! 1:30pm – Host developer vetting meeting on behalf of event planning client. Ask key questions on capabilities, experience, and strategic approach to the development process. Yes, found the perfect fit! Happy clients keep me smiling. 2:30pm – Transfer stakeholder themes document into a slide deck to be presented to senior leadership of a consumer packaged goods company in a retreat next week. Honesty and diplomacy do coexist! 4:00pm – Host an all staff meeting with an environmental non-profit to finalize Vision, Mission & Values for the organization as well as discuss the definition of impact and the measurable outcomes that reflect that impact. Get a much-needed boost of energy from the passion that the staff has for their work, and this city! 5:30pm – Draft follow up note to customer for interview, answer anything left in the inbox, and pack up the car full of easels, flipcharts, and sticky notes. The facilitation circus is coming to town! 6:15pm – Facilitate board retreat for a local school using rapid brainstorming techniques and deep reflection on opportunities for growth in enrollment. Pushing people to think quickly and collectively, outside of the comfort of their internal assumptions, begets great content. 9:30pm – Get home, grab dinner (thanks boo! ), and review focus group agenda for a corporate next generation leadership council the next morning. 10:30pm – After a moment of Queer Eye, lights out. Settle in to my pillow after another busy, invigorating, and fulfilling day surrounded by an incredible team and impactful clients! As Advisor, Director of Brand & Culture, Lauren specializes in Strategic Marketing and Operations.When she’s not repping trepwise, Lauren is usually running, cooking, or getting inspiration on the dance floor.